Many essential oils do more than just smell good. 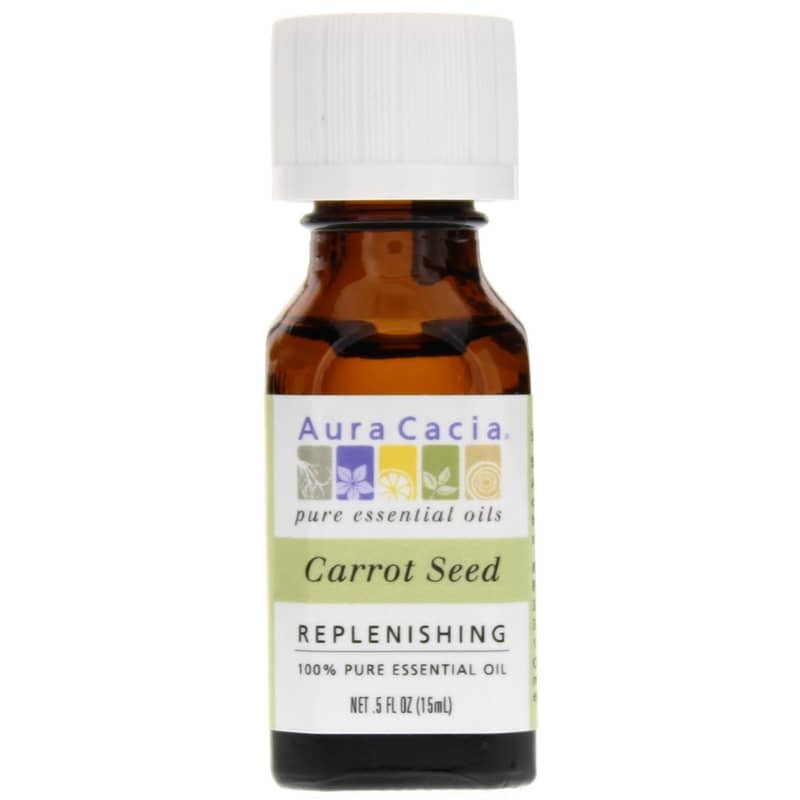 Nourish skin with Carrot Seed Essential Oil from Aura Cacia. An excellent essential oil for facial skin care, carrot seed oil is nourishing, replenishing and restoring. Add three drops to a teaspoon of baobab oil and smooth over skin for a skin nourisher. Or, combine three drops carrot seed, three drops rose and an ounce of water in a mister to create a restoring facial mist to hydrate and pamper skin. With an earthy, musky aroma that blends well with rose, geranium and clary sage, it's also wonderful for aromatherapy. Its top note is sweet and its middle note can be described as earthy, fatty-woody and root-like. It also has a tenacious, dry-woody dry note. 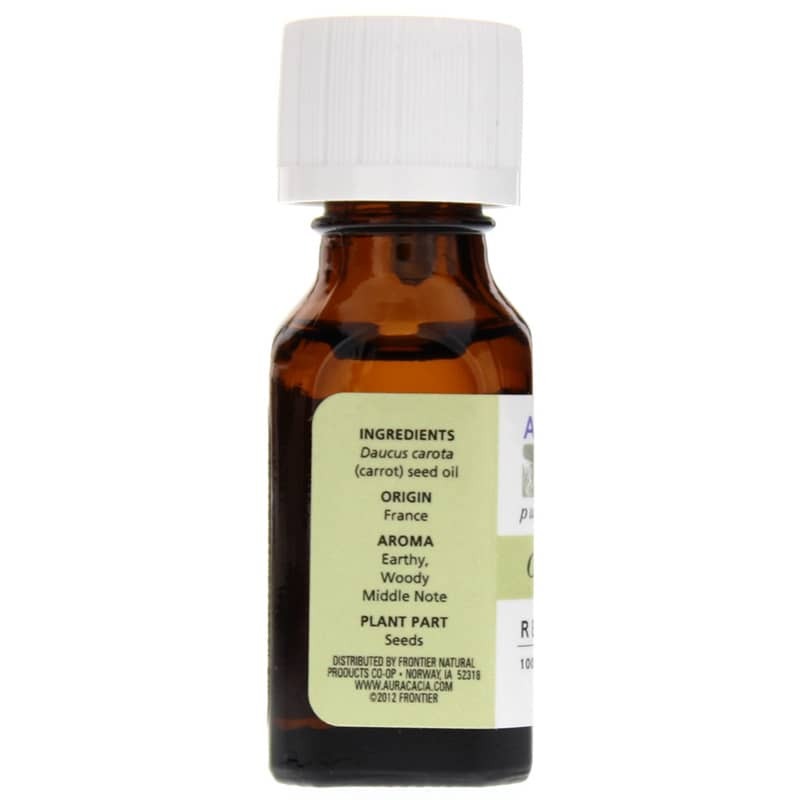 Originating from France and steam-distilled from natural carrot seeds, Aura Cacia's Carrot Seed Essential Oil is of wonderful quality for a wonderful aromatic experience. Order today! 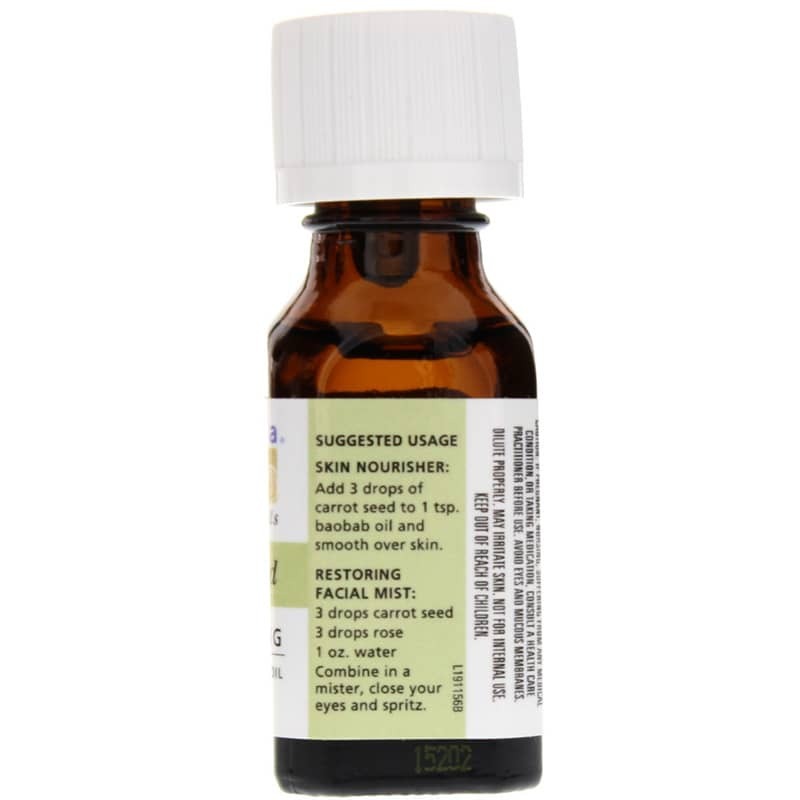 Skin Nourisher: Add 3 drops of carrot seed to 1 tsp. baobab oil and smooth over skin. Restoring Facial Mist: Combine 3 drops carrot seed, 3 drops rose and 1 ounce of water in mister, close your eyes and spritz. If you are pregnant, nursing, taking medications or have a medical condition, please consult your healthcare practitioner before taking any dietary supplement. Avoid eyes and mucous membranes. Dilute properly. May irritate skin. Not for internal use. Keep out of the reach of children.